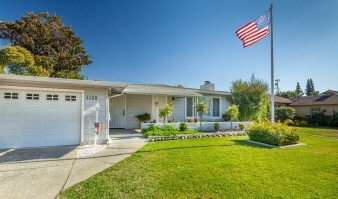 Gorgeous completely updated home steps from UOP. Catch a ballgame across the street. Energy efficient w/ New roof, Hvac, water heater, duel pane windows and additional insulation in attic. New Electrical throughout. Backyard has 3 Tuff Sheds (2 w/ power and overhead lights, 1 of which wired w/ cable tv) Kitchen includes SS appliances, granite counters, wet bar. New Garage door, Epoxy floor, cabinets, overhead lights, laundry sink, and wired for Cable Tv. This gem has too many details to list.